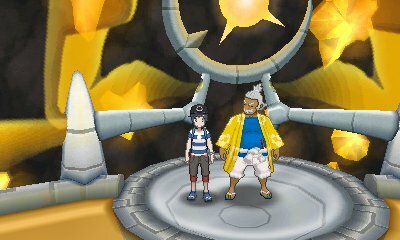 Due to his position as Kahuna of Melemele Island, Hala, was invited by Kukui to become one of the Elite Four. 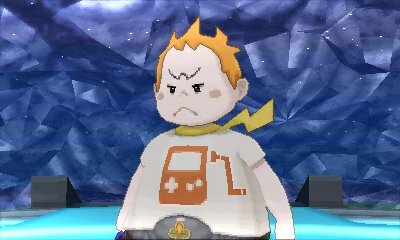 He focuses on Fighting-type Pokémon. 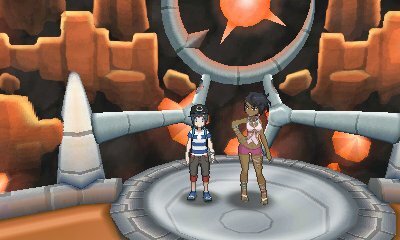 Due to her position as Kahuna of Akala Island, Olivia, was invited by Kukui to become one of the Elite Four. 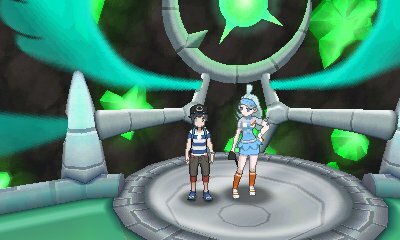 She focuses on Rock-type Pokémon. 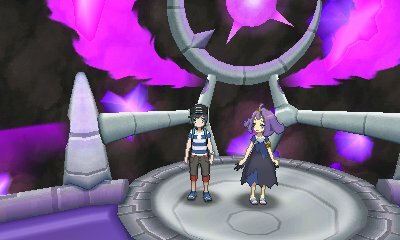 As she had completed the Island Challenge and become a Trial Captain, Acerola was invited to be one of the Elite Four. 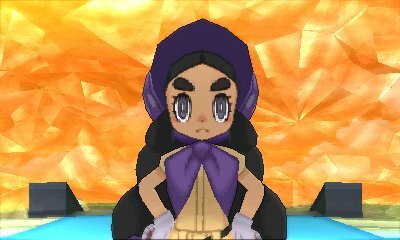 She focuses on Ghost-type Pokémon. 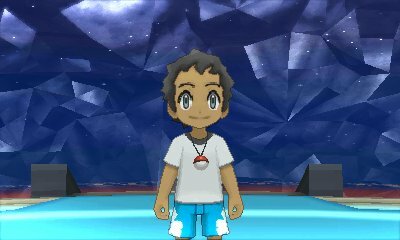 A friend of Kukui and known as one of the most pre-eminant golfers on Alola, Kahili was invited to be one of the Elite Four. 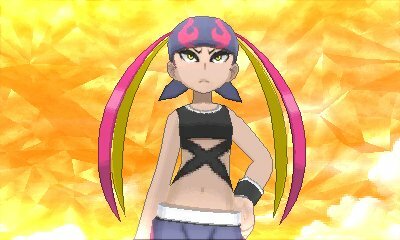 She focuses on Flying-type Pokémon. 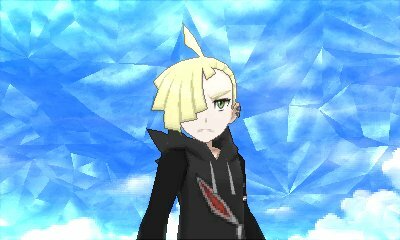 After you have beaten them for the first time, you'll be able to challenge the Elite Four again and again. 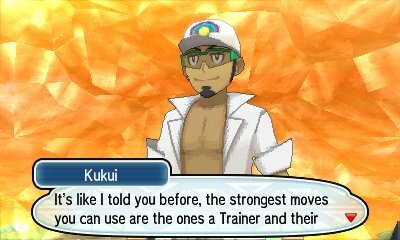 This time, their Pokémon are stronger and will use more compelling strategies. 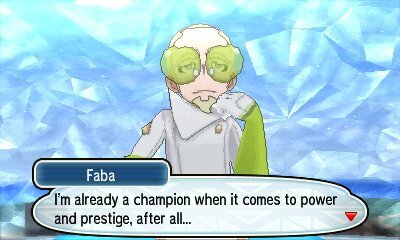 As you are the first Alola Region Champion, when you rematch with the Elite Four, you don't face off against the Champion again. 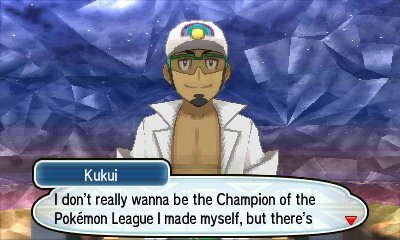 Instead, when you sit on the Champion Chair, a challenger to the title of Champion will arrive. These challengers are chosen at random from the pool of challengers and may appear again when you rematch the league again. 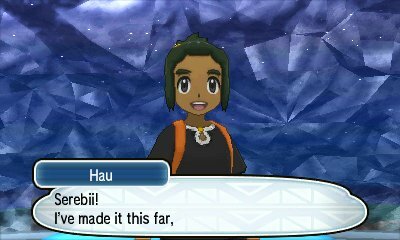 Your rival and friend, Hau, has also gone through the Island Challenge and defeated the Elite Four, wanting a rematch from all of the matches he has had with you. 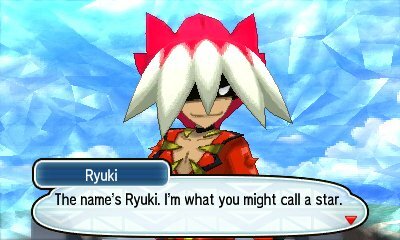 His team varies based on your starter Pokémon. 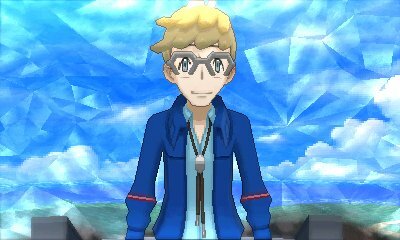 A Youngster who trains on Route 1, Youngster Tristan, is also one of the challengers to the Champion title.